Today I am doing a review on Lip balm!! Some people might think that why do you need lip balm during the summer? When someone have keratins on their lips than it isn’t too favoring. When you think about the lip care there is a chopstick which Nivea is famous for. 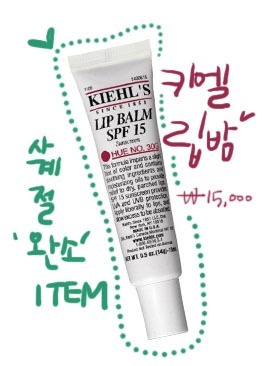 However Kiehl’s Lip Balm is the best. I used it for the first time when my friend gave me. From than on I always use this lip balm. The persistence is really long and it is very moisturizing. I can’t really explain by words but how great it is!!! It helps the crack lips to recover for only a short amount of time. This is tube type so it is easy to use. The brand name is Beautiful soap. This brand makes their products out of organic formulas. There aren’t any chemicals or artificial elements used. So this product has pros and cons. It is made out of my favorite fruit coconut. When you apply it there is some fresh and hot feeling. So from these kind of feeling there is plumping effect. There wasn’t any comment on this effect but I really saw it myself by using it. I think it is because of the formula used in the organic products. When I use this no one can tell I applied lip balm. Most of them think it is a lip-gloss. This is how much it becomes glossy. If your lips is too dry to apply any pretty color rouge try this and you can see the glossiness and moisturizing. However there is a negative part. This is made in organic so there wasn’t any coagulate substance added. So it is very weak on high temperature. Also when you twist a lot it doesn’t go in. It melts when you place in a hot temperature room. So I move it onto a smaller container or I keep it in the refrigerator as I only use during the nighttime. When you use it before you go to sleep the effect is great. 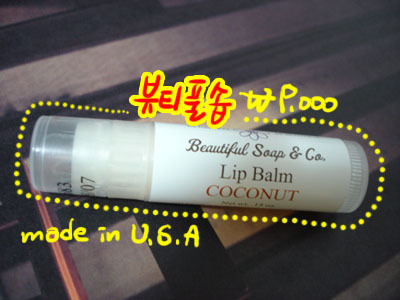 I really want to recommend for the people who have many wrinkles on their lips. The lip becomes puff by the hitting substance so it kind of covers the wrinkles. There is orange and vanilla smell it doesn’t make if puffy instead you want to lick your lip all the time.